House of Lafayette - House of Lafayette's tan Reed 1 panama hat features a natural suede trim with beads and multicoloured feather tips - a feature reminiscent of the label's signature phoenix motif symbolising immortality. 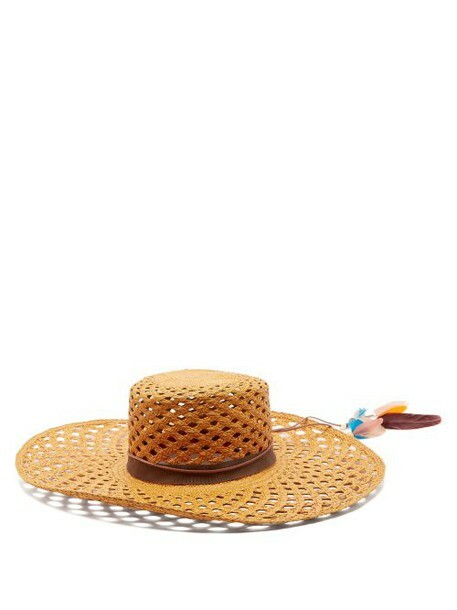 It's crafted in the USA from woven straw and shaped with a wide brim, then finished with a brown grosgrain band. Wear it to bring a bohemian tinge to a chic sundress on vacation.